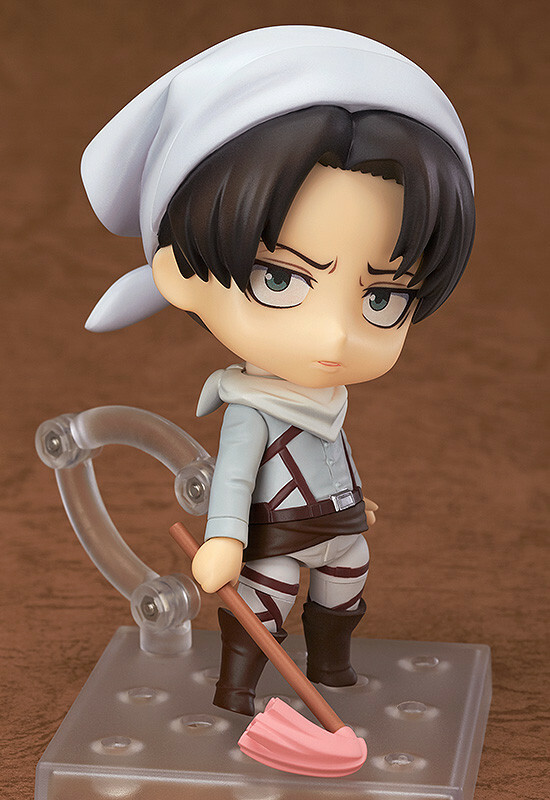 Description: From the popular anime series 'Attack on Titan' comes a special 'Cleaning' version of Nendoroid Levi! 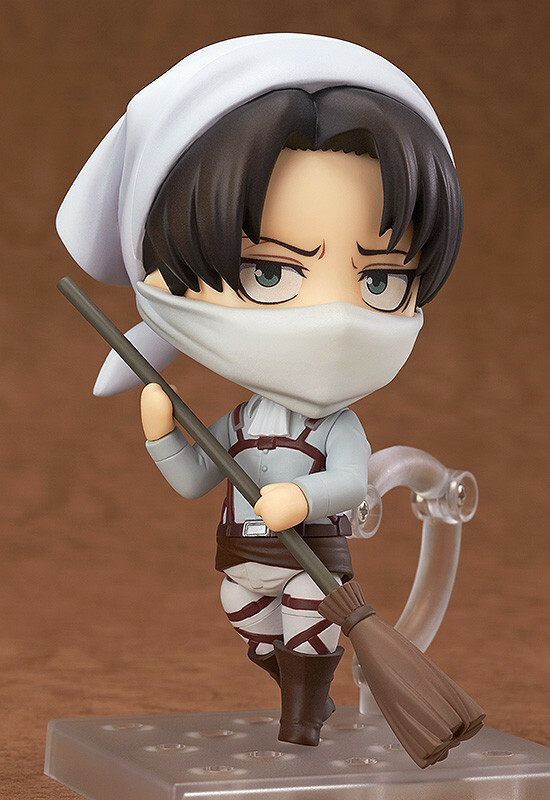 He comes with all sorts of optional parts to help him keep things clean, including a duster, bamboo broom and mask. 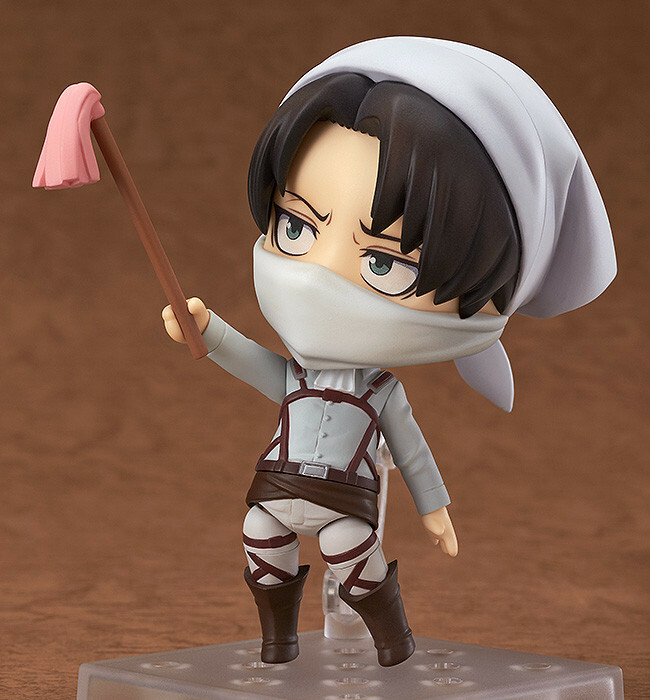 You can choose to display him with the mask up covering his face, or instead hanging around his neck. 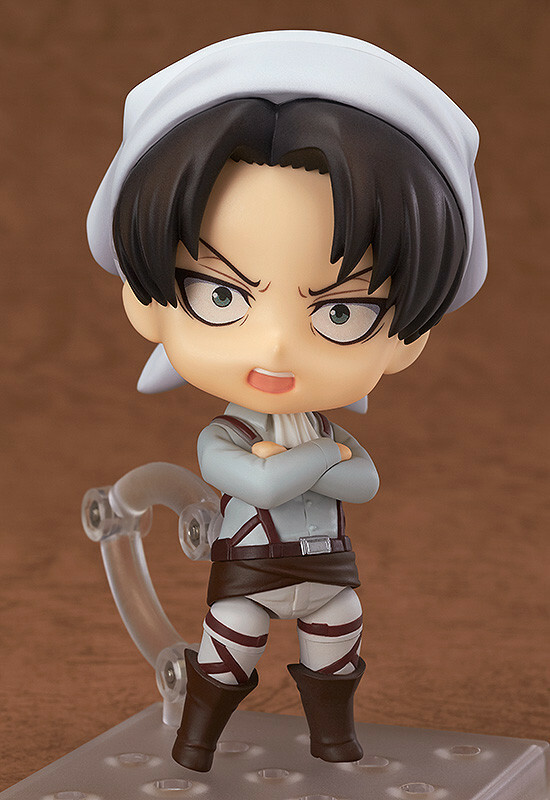 Folded arm parts and a shouting expression are also included.